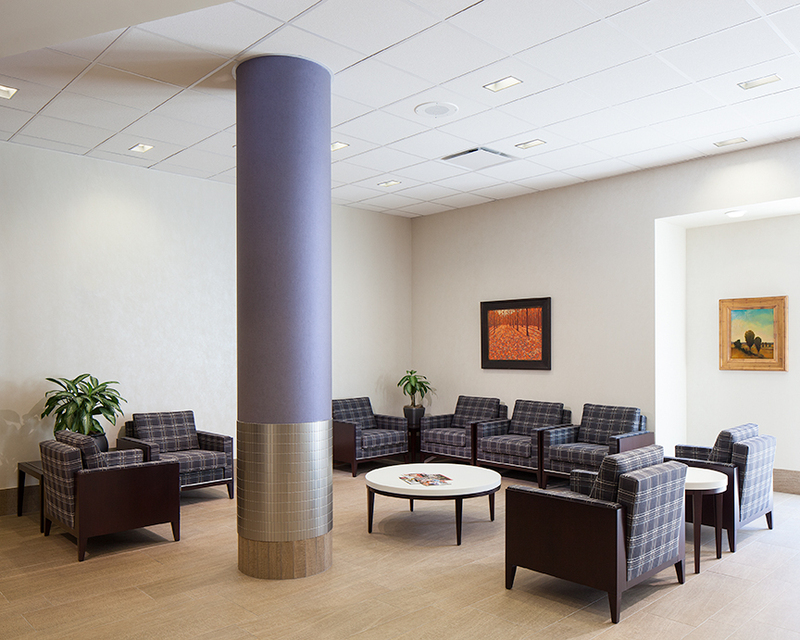 CMA recently finished a complete renovation of the Magee Rehabilitation Hospital Main Lobby. A more modern, attractive hospitality environment was created for patients, visitors and workers. 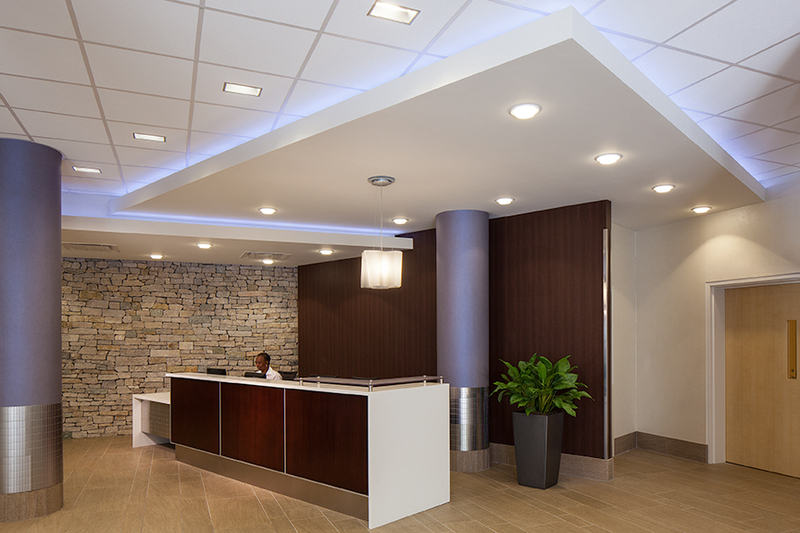 New ceilings and soffits absorb sound while new lighting provides brightness. New windows allow more daylight into the space and natural stone, wall coverings, and a custom designed wood panel-Corian desk create a more inviting, warmer atmosphere. The relocation of the main entrance and removal of the old gift shop expands the space both vertically and horizontally and improves flow. Installation of a larger sliding glass door as well as another window in the vestibule further opens up the space. 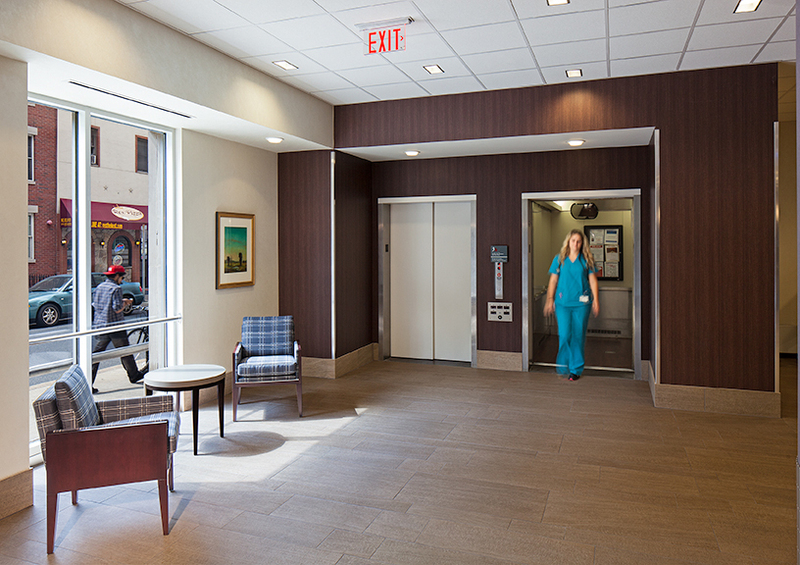 New finishes extend out to the patient drop off area,expanding the lobby’s square footage. 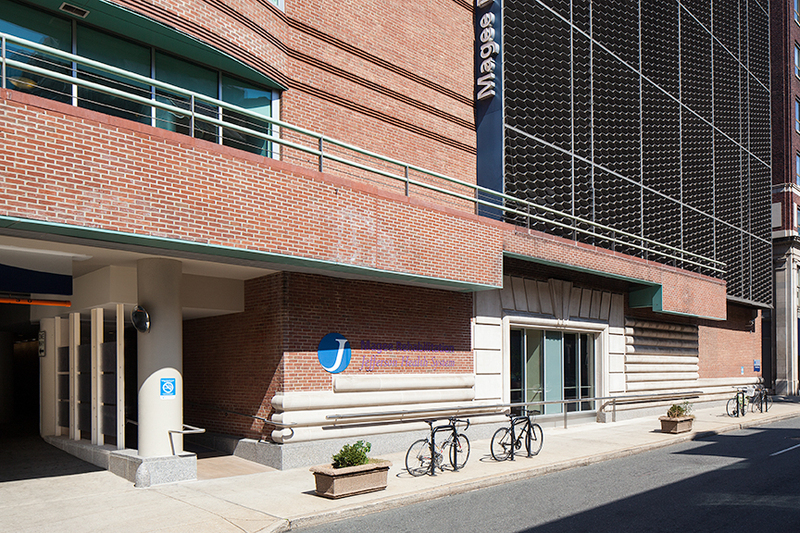 By completing the project in two phases, the lobby remained operational throughout the renovation.